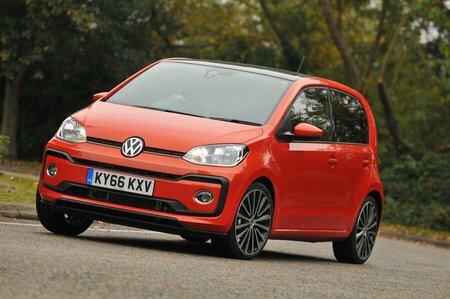 Volkswagen Up High Up Review and Deals 2019 | What Car? High Up trim gets you a lot of kit for your money, so it's our favourite. This includes as standard 15in alloy wheels, air conditioning, Bluetooth, heated front seats, electrically operated and heated door mirrors, extra speakers for the stereo, a leather-wrapped steering wheel and gearlever, and front foglights. This trim level is available only with the 74bhp and 89bhp engines.